Sometimes you just need a little chocolatey something to get you through the afternoon. 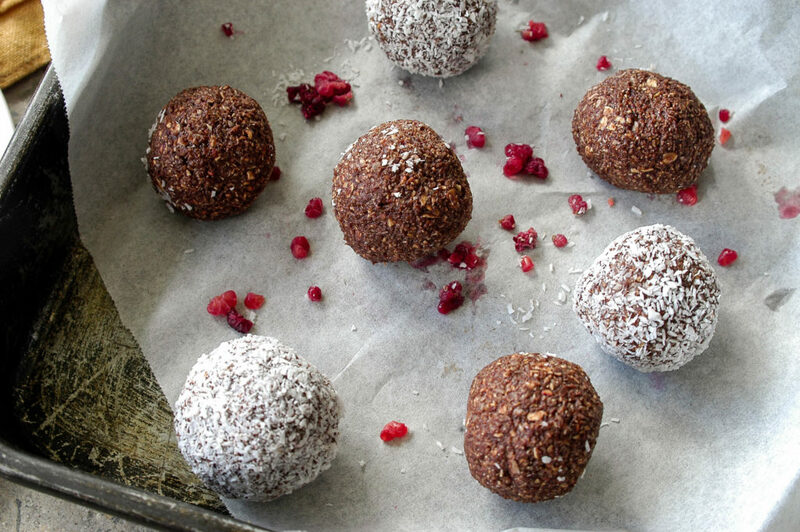 But instead of raiding the vending machine, try these delicious chocolate, raspberry and coconut bliss balls. While they’re not exactly low in kilojoules, they have a whole lot more nutritional value to offer than chocolate – with raspberries, oats, almond meal providing fibre, low GI carbs, healthy fats, vitamins, minerals and phytonutrients to provide energy, help reduce inflammation and protect us from disease. 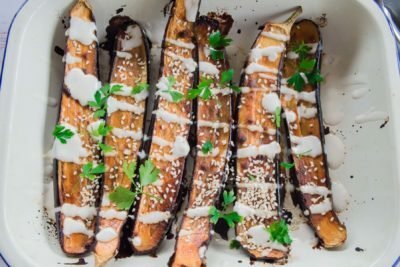 And the best part is they won’t set you off on a blood sugar roller coaster for the rest of the day like chocolate can – so you won’t be fighting the urge for an afternoon nap! Place raspberries and oats in a food processor and process until finely chopped. Add almond meal, coconut and cocoa and process until well combined. Add maple syrup or honey and raspberry jam and process until mixture comes together in a ball. 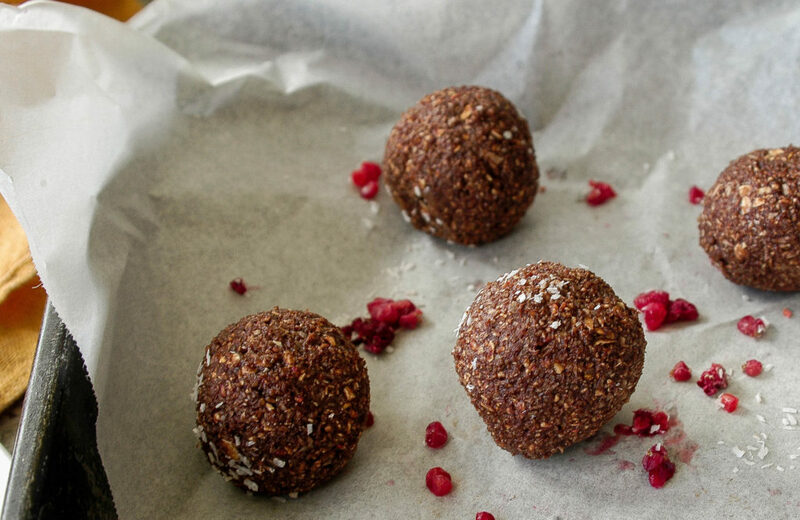 Roll into small balls and refrigerate for 1-2 hours until firm (balls can be rolled in coconut or cocoa before placing them in the fridge if you like).